Here's another thought exercise. But rather than a what-if, let's take on a REAL problem, associated with this emerging discussion. How do you safely exploit petroleum resources in the WPS, both from an environmental standpoint as well as with a view to ensuring that Philippine sovereignty stays intact? 1. Whatever deals are made MUST be in accordance with the constitution. We have the Malampaya model for how to achieve that end. 3. Pretending that China doesn't exist is not an option. Even Vietnam accepts that it can't ignore the "Kleptomaniac Panda" as it explores its EEZ (See Vietnam stops drilling after China threats. Whatever solution we choose must also keep the bear at bay. It is clear that the constitution empowers the President to work with foreign entities to exploit the country's resources. The Vietnamese call the region Block 136-03 and have leased it to a company called Talisman-Vietnam, a subsidiary of Repsol. China calls it Wanan Bei-21 and has leased the same piece of seabed to a different company. More data about the Malampaya model is called for. WHEREAS, it was found necessary for the national interest to amend Senate Bill No. 531 among other things more meaningful incentives to prospective service contractors. SEC. 1. Short title. This Act shall be known and maybe cited as "THE OIL EXPLORATION AND DEVELOPMENT ACT OF 1972". SEC. 2. Declaration of policy. 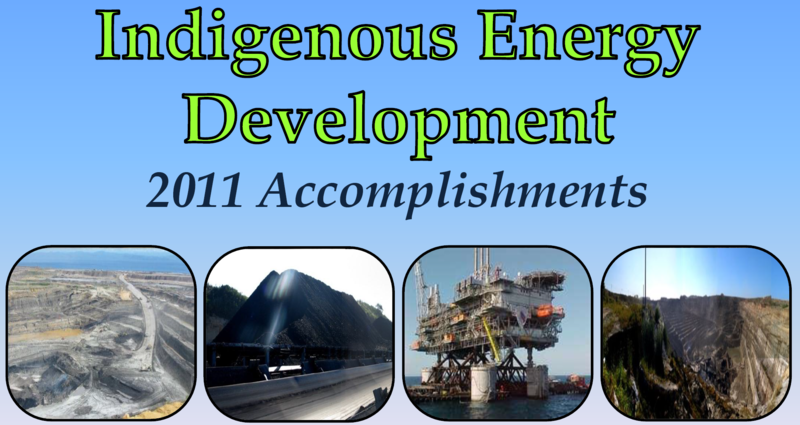 It is hereby declared to be the policy of the State to hasten the discovery and production of indigenous petroleum through the utilization of government and/or private resources, local and foreign under the arrangements embodied in this Act which are calculated to yield the maximum benefit to the Filipino people and the revenues to the Philippine GOVERNMENT for use in furtherance of national economic development, and to assure just returns to participating private enterprises, particularly those that will provide the necessary services, financing and technology and fully assume all exploration risks. "Petroleum" shall include any mineral oil, hydrocarbon gas, bitumen, asphalt, mineral gas and all other similar or naturally associated substances with the exception of coal, peat, bituminous shale and/or other stratified mineral fuel deposits. "Crude Oil" or "Crude" means oil in its natural state before the same has been refined or otherwise treated. It does not include oil produced through destructive distillation of coal, bituminous shale or other stratified deposits, either in its natural state or after the extraction of water, and sand or other foreign substances therefrom. "Natural Gas" means gas obtained from boreholes and wells and consisting primarily of hydrocarbons. "Petroleum Operations" means searching for and obtaining petroleum within the Philippines through drilling and pressure or suction or the like, and other operations incidental thereto. It includes the transportation, storage, handling and sale (whether for export or for domestic consumption) of petroleum so obtained but does not include any: (1) transportation of petroleum outside the Philippines; (2) processing or refining at a refinery; or (3) any transaction in the products so refined. "Petroleum in commercial quantity" means petroleum in such quantities which will permit its being economically developed as determined by the contractor after taking into consideration the location of the reserves, the depths and number of wells required to be drilled and the transport and terminal facilities needed to exploit the reserves which have been discovered. "Posted Price" refers to the FOB price established by the contractor in consultation with the Department of Energy for each grade, gravity and quality of crude oil offered for sale to buyers generally for export at the particular point of export, which price shall be based upon geographical location, and fair market export values for crude oil of comparable grade, gravity and quality. "Market Price" shall mean the price, which would be realized, for petroleum, produced under a contract as hereinafter defined if sold in a transaction between independent persons dealing at arm's length in a free market. "Barrel" means 42 U.S. gallons or 9702 cubic inches at a temperature of 60ºFahrenheit. Any reference in this Act to the value of any crude oil at the posted price or market shall be construed as a reference to the amount obtained by multiplying the number of barrels of that crude oil by the posted price or market price per barrel applicable to that crude oil. "Crude Oil Exported" shall include not only crude oil exported as such but also indigenous crude oil refined in the Philippines. "Government" means the Government of the Republic of the Philippines. "Contractor" means the contractor in a service contract whether acting alone or in a consortium with others. "Contract" refers to a service contract. "Filipino Participation Incentive" means the allowance, which may be given the contractor with Filipino participation as provided in Section 28 hereof. "Philippine Corporation" means a corporation organized under Philippine Laws, at least sixty percent of the capital of which is owned and held by citizens of the Philippines. "Affiliate" means (1) a company in which a contractor holds directly or indirectly at least fifty percent of its outstanding shares entitled to vote; (2) a company which holds directly or indirectly at least fifty percent of the contractor's outstanding shares entitled to vote; or (c) a company in which at least fifty percent of its share outstanding and entitled to vote are owned by a company which owns directly at least fifty percent of the shares outstanding and entitled to vote of the contractor. 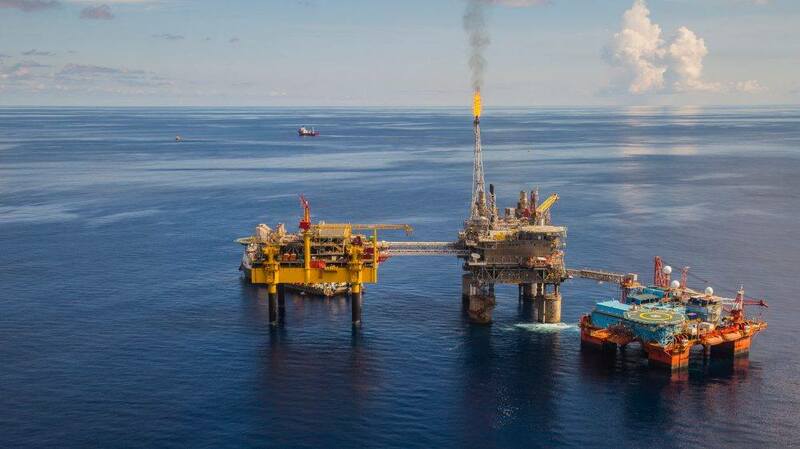 The life of the Malampaya gas field, operated by the consortium of Spex as operator with 45 percent stake, Chevron LLC (45 percent) and PNOC Exploration Corp. (10 percent) is expected to end by 2030. To date, around half of the reserves at the Malampaya gas field were consumed. JV Partners and Percent Equity : China National Offshore Oil Company International Limited (CNOOC) – Operator 51%, PNOC EC 28%, Mitra Energy Limited (MITRA) 21%. Project Description: SC 57 was awarded to PNOC EC on 15 September 2005. It covers a total area of 7,120 sq. km. in offshore Northwest Palawan and is situated around fifty (50) kms. northwest (NW) from the north-westernmost tip of Busuanga Island. CNOOC farmed-in into SC 57 on 3 April 2006 acquiring 51% participating interest and operatorship while Mitra Energy farmed-in on 3 March 2006 getting 21%. The Deed of Assignment to formalize their entry has yet to be signed by the President of the Philippines. 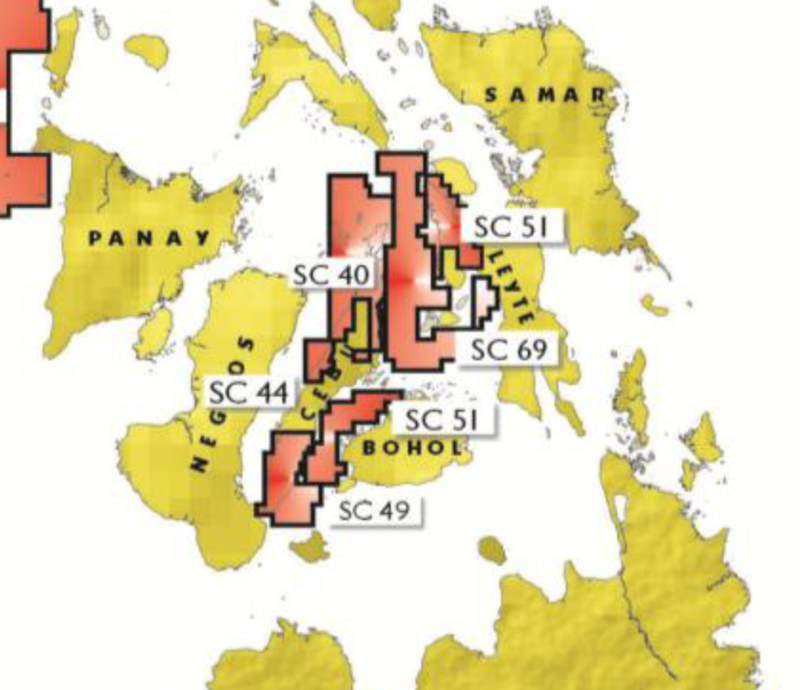 Brief Background : SC 57 is within the prolific NW Palawan block and is host to the Bantac I well, a non-commercial oil discovery by Occidental Petroleum. With the farm-in of CNOOC and Mitra, additional 2,200 km. of 2D seismic data was acquired on top of the 3,300+ km. acquired by the previous contractors. However, the request for approval of the Deed of Assignment to CNOOC and Mitra Energy has been pending since 2006 with the Office of the President (OP). SC 57 is currently under force majeure but exploration activities will resume once approval is granted. On Chinese terms . . . or can government really negotiate a better deal? Would Manila accept exploration of Reed Bank or joint development on Chinese terms? Now that the arbitration award has been announced, Manila will face increased lobbying pressure as well as public support to resume exploration in Reed Bank. Silently capitulating to possible unilateral Chinese exploration is not a viable political option for Manila. The dilemma for Manila will be whether to engage in preemptive or reciprocal unilateral exploration that would almost certainly be forcefully opposed by Beijing and present escalation risks, or enter into negotiations with Beijing on joint development that would risk inciting domestic political opposition as well as disapproval from Washington. With the recent election of President Rodrigo Duterte, the opportunity for joint development with China seems ripe. On July 5, Duterte repeated his interest in holding bilateral negotiations with China. The newly appointed Philippine Foreign Secretary Perfecto Yasay, Jr. stated on July 8 that the new government was willing to discuss with China options to jointly explore and mutually benefit from disputed resources. However, Yasay had to issue a rejoinder the follow day to clarify his previous comments in response to public backlash for his apparent willingness to share Philippine resources with China. Yasay’s underlying assumptions appear to be that the arbitration award is essentially unenforceable, but may strengthen Manila’s bargaining position in bilateral negotiations with Beijing on joint development. If history is any indication of future behavior, Philippine public opinion will be strongly opposed to any agreement that is perceived as too compromising on national sovereignty over its offshore resource to China’s benefit. As with the defunct JMSU, joint development would likely be highly scrutinized by the political opposition. These domestic political factors will significantly restraint Duterte’s maneuverability in negotiations with Beijing. The forceful logic of China’s presumptive position toward Reed Bank is clear: With the Malampaya gas field expected to be depleted in 8-12 years, the timely development of Reed Bank is essential to Philippine energy security. However, time is on China’s side. Through coercion and harassment, China can indefinitely delay the exploration and development of Reed Bank. The Philippines’ only rational option is to agree to joint development with China, albeit on China’s terms, since Philippine companies are unable to develop Reed Bank alone and international partners are reluctant to participate. If successful, joint development would be a geopolitical victory for Beijing since it would facilitate a rapprochement between Beijing and Manila, make China a critical partner in the Philippines’ long-term energy security, drive a political wedge between Manila and Washington and further weaken ASEAN unity. The downside risks for China is that a heavy-handed play could provoke a public backlash which pushes the populist Duterte to take a strongly nationalist position. In this scenario, Beijing’s gambit would likely have the unintended consequence of scuttling Chinese-Philippine rapprochement while pushing Duterte closer to Washington. This would lock in the status quo, with Reed Bank exploration and development indefinitely delayed and Philippine energy security in a vulnerable position. A JOINT development between the Philippines and China in the resource-rich South China Sea would be difficult to implement and may not conform with Manila’s legally won entitlements over the sea, an expert from a US think tank said. But according to Gregory B. Poling, director of the Asia Maritime Transparency Initiative (AMTI) of Washington’s Center for Strategic and International Studies, working out such an agreement will be difficult considering its complexity. He explained that under such arrangement, Manila and Beijing would “set aside” questions of sovereign rights, which he said would disregard the arbitral award won by the Philippines in an international court last year. “That would not be in keeping with the arbitral award, which recognized Reed Bank as being part of the Philippine continental shelf,” Mr. Poling, who specializes on maritime security issues in Asia, said in an e-mail interview last week. “But more importantly, it would violate the Philippine Constitution and would probably face an immediate court challenge. In other words, China and the Philippines are talking about very different things here,” he added. In the same interview, Mr. Poling qualified that any commercial energy ventures like the one discussed by Philippine oil and gas firm PXP Energy Corp. and China National Offshore Oil Corp. (CNOOC) would be “great” and could ease tensions. “It (commercial energy agreement) would lower tensions and would be entirely consistent with international and Philippine law. But there is no indication that Beijing would agree to that kind of a deal,” he said. Talks between PXP and CNOOC about joint exploration and development of Reed Bank were disrupted in late 2014 after Manila, under the administration of then president Benigno S. C. Aquino III, filed an arbitration case against Beijing. Citing warmer ties with China, PXP said it is hoping to revive the stalled negotiations under Mr. Aquino’s successor, Rodrigo R. Duterte, who has set aside The Hague ruling in exchange for billions of dollars in Chinese aid and investment. Among the service contracts (SC) that had been placed on force majeure is Service Contract 72, which is covered by the decision handed down by the Permanent Court of Arbitration in The Hague in the Netherlands on July 12, 2016. The court ruled that Reed Bank, where SC 72 lies, is within the Philippines’ exclusive economic zone as defined under United Nations Convention on the Law of the Sea. On March 2, 2015, the DoE placed SC 72 under force majeure because the contract area falls within the disputed area, which was the subject of the arbitration process. Under the terms of the force majeure, exploration work at SC 72 is suspended from Dec. 15, 2014 until the DoE notifies the exploration company that it may continue drilling. For now, what the DoE is allowing for exploration are areas within Philippine sovereignty, Mr. Cusi said. Batongbacal said the Philippines must ensure that "whatever we agree to does not result in an acknowledgement of China’s illegitimate claim." "That’s why any kind of bargain with China on this has to be really very well thought of, and the terms have to be very well-written in order to prevent that kind of even an implied recognition," he said. "It’s bad enough that we have actually the official position very loosely declared by the President. When he said that China has this historic claim, that’s almost one step closer to acknowledging officially because he is the President of the country," he added. Batongbacal supports Foreign Affairs Secretary Alan Peter Cayetano's statement that the energy department is now focused on allowing oil and gas exploration in "areas that are not disputed." He said this would mean that Manila is "implementing and continuing to attempt to implement" the Hague ruling. The map below comes from the following document. SC 49 covers the bottom quarter of Cebu island. Barangay Montpeller in Alegria appears below. A Chinese firm, China Internal Mining Petroleum Company Ltd. will start its oil exploration project in Barangay Montpeller, Alegria, south of Cebu in the next few months. Department of Energy (DOE) 7 Director Antonio Labios said the area has potential oil deposits. This was based on the previous oil drilling activities in the same area but were not able to reach the deeper ground, which a large number of oil deposits may be found. “They hope that with the modern technology they could go as deep as more than 1,000 to 2,000 meters deep,” he told the media in an interview on Monday, March 3. Vladimir Gerchikov, the company’s country manager said, they have already acquired a service contract from the DOE. The company is already in the process of entering a lease contract for the oil field in Alegria. Gerchikovand company briefed Governor Hilario P. Davide III and Vice Governor Agnes Magpale on Monday, March 3 about the project in a meeting arranged by Dir. Labios. The officials of the municipality of Alegria, lead by Mayor Verna Magallon, were also present during the meeting at the Capitol. Gerchikov said they are asking the governor’s and the community’s support on the “major project,” which would highly benefit the province. Governor Davide supported and wished luck for the company in its oil drilling activity. The governor said his main concern is only the safety of the environment and of the local folks. “Angimportantegyudparanako as governor, nga no adverse effect kinisaatong environment and the people in the municipalities where they are drilling are protected gyud,” the governor said. The board of directors of the Polyard Petroleum International Group Limited announced that on 19 December 2017, the Department of Energy of the Government of the Republic of the Philippines has granted the approval of the Plan of Development for oil for the SC49 Block to China International Mining Petroleum Company Limited. The approval of the Oil POD will serve as the basis for the Joint Declaration of Commerciality. Alegria, Cebu rejoices: We struck gas! 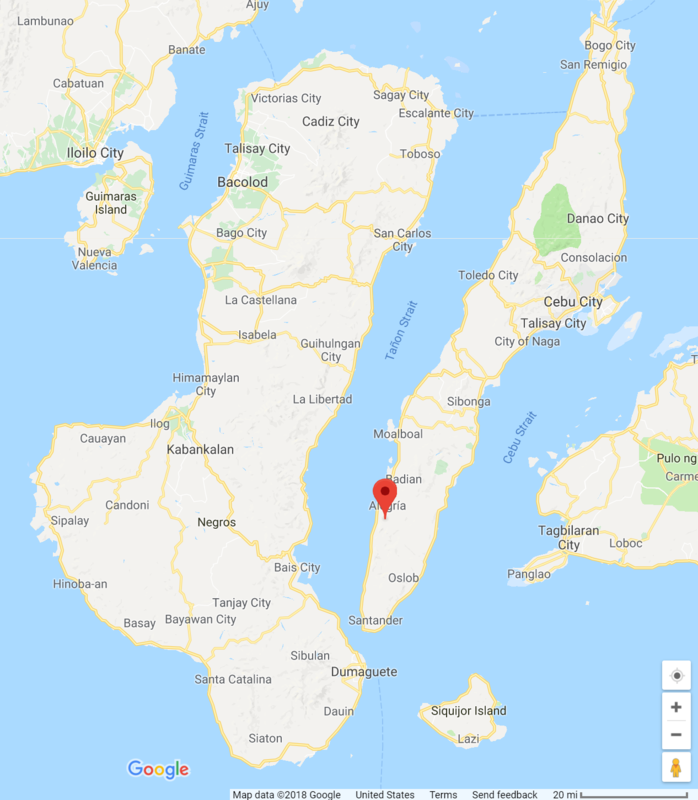 CEBU CITY – Commercial quantities of natural gas and oil resources have been found in the southern town of Alegria, Cebu that can last for 19 years. The Department of Energy (DOE) and its partner, a Chinese exploration firm, were set to start production of the on-shore gas and oil mining site in Alegria, a 4th class municipality located more than 110 km from Cebu City. The news was welcomed by Alegria Mayor Verna Magallon who saw the development as an opportunity for the town to improve economic activities and generate more jobs. 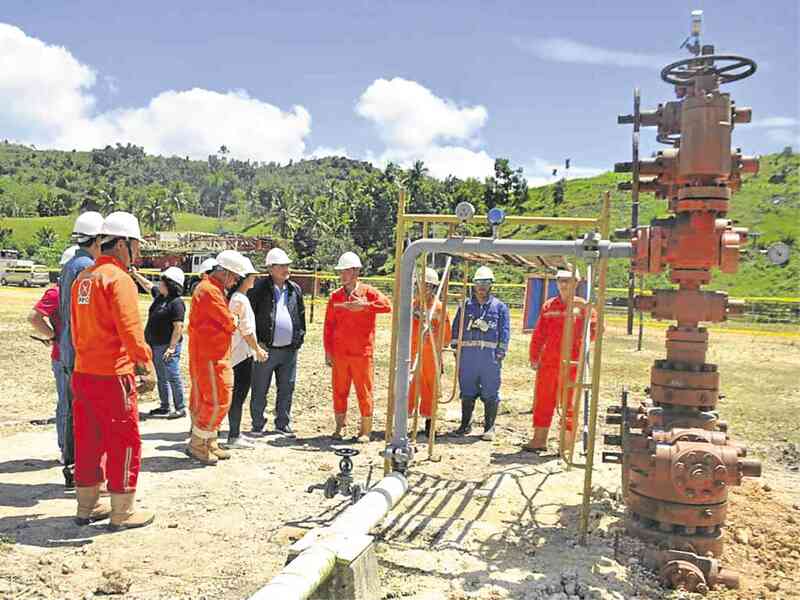 Last March 14, Energy Secretary Alfonso Cusi declared that the Alegria Oil Field, located in Barangay Montpeller, has commercial quantities of natural gas and oil resources that can last until 2037. Cusi made the pronouncement after a ceremonial signing of the Joint Declaration of Commerciality (JDC) between the DOE and service contractor China International Mining Petroleum Company Limited (CIMP CO. Ltd). In a press release posted on its website, the DOE said exploration and drilling services on the oil field by CIMP started as early as 2009 and was covered by Petroleum Service Contract (SC) No. 49. An estimated 27.93 million barrels of oil (MMBO) with a possible production recovery of 3.35 MMBO or a conservative estimate of 12 percent of total oil in places (reserves) were found. For natural gas, about 9.42 billion cubic feet (bcf) reserves were found, with the recoverable resource estimated at 6.6 bcf or about 70 percent of total natural gas in places/reserves. The Cebu drill puts this article into context. Malacañang said that China would have to comply with Philippine laws in case the joint exploration in Service Contract (SC) 57 pushes through, as the area is under the exclusive economic zone (EEZ) of the country. Roque, in a Palace press briefing Monday, said that since SC 57 is under the Philippine EZ, China would have to comply with domestic laws. “They will absolutely be subject to Philippine laws if it is [SC] 57. It would have to be the mining code. The domestic law of the Philippines will prevail over [SC] 57,” he added. According to the Philippine National Oil Company (PNOC), SC 57 was awarded to PNOC Exploration Corporation (EC) on September 15, 2005. It covers a total area of 7,120 sq. km. in offshore Northwest Palawan and is situated around 50 kilometers northwest from the north-westernmost tip of Busuanga Island. All mineral resources are owned by the State. Their exploration, development and utilization (EDU) must always be subject to the full control and supervision of the State. More specifically, given the inadequacy of Filipino capital and technology in large-scale EDU activities, the State may secure the help of foreign companies in all relevant matters -- especially financial and technical assistance -- provided that, at all times, the State maintains its right of full control. The foreign assistor or contractor assumes all financial, technical and entrepreneurial risks in the EDU activities; hence, it may be given reasonable management, operational, marketing, audit and other prerogatives to protect its investments and to enable the business to succeed. Full control is not anathematic to day-to-day management by the contractor, provided that the State retains the power to direct overall strategy; and to set aside, reverse or modify plans and actions of the contractor. The idea of full control is similar to that which is exercised by the board of directors of a private corporation: the performance of managerial, operational, financial, marketing and other functions may be delegated to subordinate officers or given to contractual entities, but the board retains full residual control of the business. Who or what organ of government actually exercises this power of control on behalf of the State? The Constitution is crystal clear: the President. Indeed, the Chief Executive is the official constitutionally mandated to enter into agreements with foreign owned corporations. On the other hand, Congress may review the action of the President once it is notified of every contract entered into in accordance with this [constitutional] provision within thirty days from its execution. In contrast to this express mandate of the President and Congress in the EDU of natural resources, Article XII of the Constitution is silent on the role of the judiciary. However, should the President and/or Congress gravely abuse their discretion in this regard, the courts may -- in a proper case -- exercise their residual duty under Article VIII. Clearly then, the judiciary should not inordinately interfere in the exercise of this presidential power of control over the EDU of our natural resources. The Constitution should be read in broad, life-giving strokes. It should not be used to strangulate economic growth or to serve narrow, parochial interests. Rather, it should be construed to grant the President and Congress sufficient discretion and reasonable leeway to enable them to attract foreign investments and expertise, as well as to secure for our people and our posterity the blessings of prosperity and peace. On the basis of this control standard, this Court upholds the constitutionality of the Philippine Mining Law, its Implementing Rules and Regulations -- insofar as they relate to financial and technical agreements -- as well as the subject Financial and Technical Assistance Agreement (FTAA).